A very treacherous path lies ahead of Google on its road to uniting calls, messaging and video! Google announced that as of 16 February the company no longer supports one of its products — Google Talk. 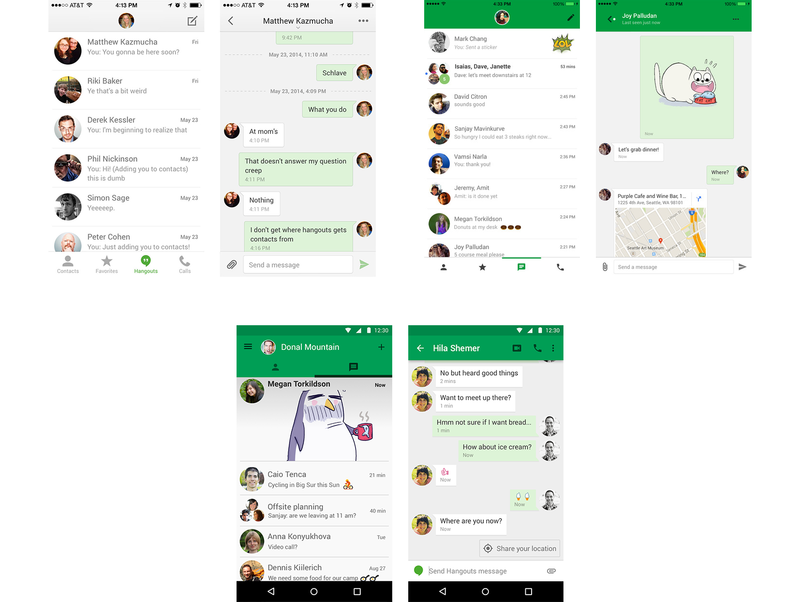 Thus, the users are left with no other option but to switch to Hangouts. A very treacherous path lies ahead of Google on its road to uniting calls, messaging and video in a single platform! This sort of replacement was expected, since recent attempts to download GTalk have led to a link, redirecting you to Hangouts’ site with no right of option. To be frank, this messenger could completely take the place of the outgoing service. Developers will try and keep users connected with the desktop app for Hangouts on Chrome OS, making it seamless and painless for veteran users to change over to the new app. Although Hangouts does have a bunch of shortcomings. For example, Hike made tackling the issue of operation at low Internet speed its top priority, while Google couldn’t care less for 2G mobile Internet subscribers, whose quantity (unfortunately for the ‘Corporation of Good’) is still too great. Many folks point out that the product’s design is among its flaws. The same goes for interface friendliness, or should I say, hostility. I mean, even if the co-founder of a startup company Pilot is offering to rethink your design, and shows his concept ideas, then don’t you think that, maybe, just maybe, you should go ahead and consider it?